In the race to plant the 2017 crop, "pit stops" like this are just as precisely orchestrated as on the NASCAR circuit. As seed hoppers are replenished, starter fertilizer is pumped on board and cab monitors are recalibrated. The only thing missing is the chatter of air wrenches! We all know time is money, but what are your actual opportunity costs for achieving greater operating efficiency? We'll be drilling into that topic in the upcoming FBS User Conference (see story below). 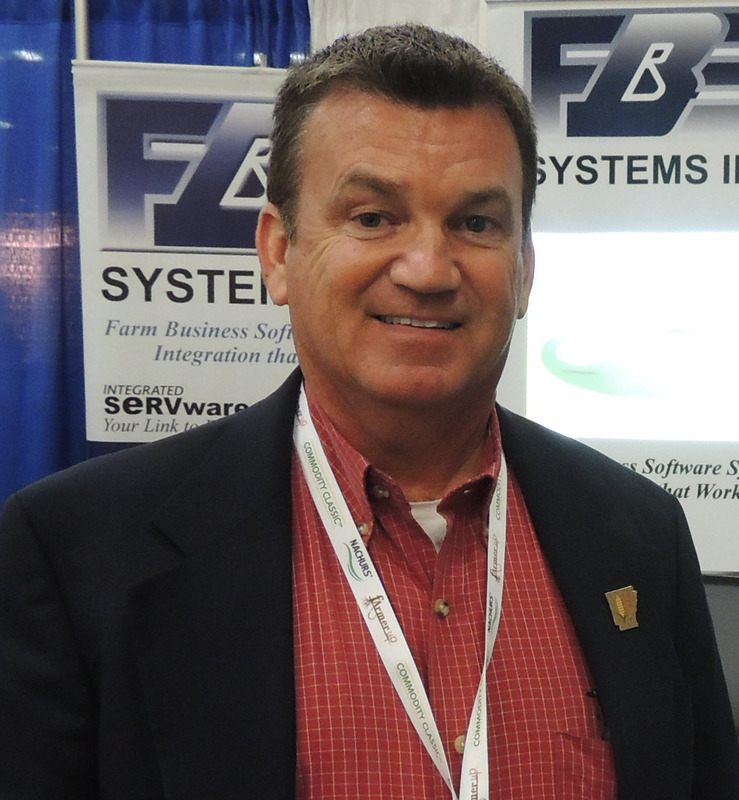 FBS integrated software trends in Farm Industry News. User Conference opens windows of opportunity. Technology survey reveals mixed feelings. FBS User in The Wall Street Journal. "If you’re struggling with a main street accounting program today, it might be time to reach out to a higher-level, farm-focused program for your business." So says Editor Willie Vogt in the April 2017 Farm Industry News story, "Raising Your Accounting Game." "Main Street" accounting programs can't keep up with changing farm needs. Farm-focused tools make accrual accounting, trend analysis easier. 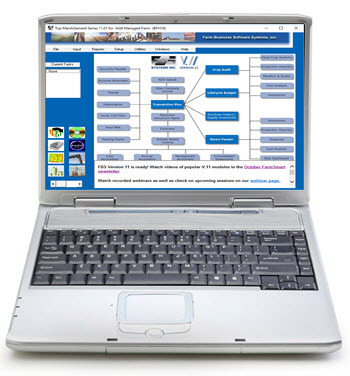 High-end farm accounting programs (like FBS) bring new ways to capture farm information. Farm Industry News's tagline is Products. Technology. Trends. It's exciting that FIN has identified ag-specific, integrated software as a trend you should be following. Don't let the world pass you by; find out how FBS is leading the way in this online story. 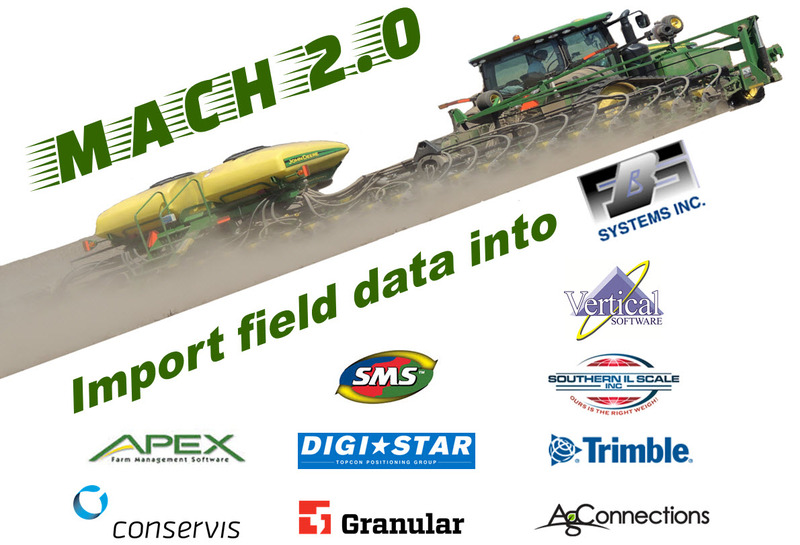 Join your fellow managers and consultants for the premier farm management computer event of the year on Tuesday, August 22 through Wednesday, August 23 at the Stoney Creek Inn, Moline, Illinois. Soon our clients will be starting the 2017-2018 "lap" of software technology and tech support. Our programming team is working hard to "condition" your software for the long haul, and our support team is prepared to "cheer you on." 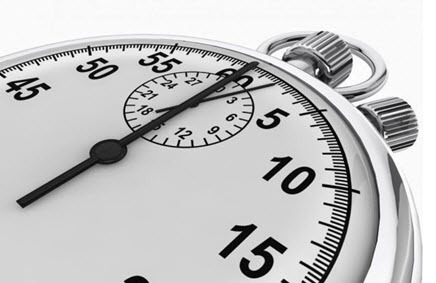 We call this service TiMEsavr because it literally saves you time 3 ways: 1) quick, knowledgeable answers to your support questions, 2) faster software performance from upgrades and a 3) one-step renewal process that includes annual upgrades, real-time updates and tech support. Check your mail for your renewal notice and money-saving offers. Thank you for running the "marathon" with us for over 37 years! 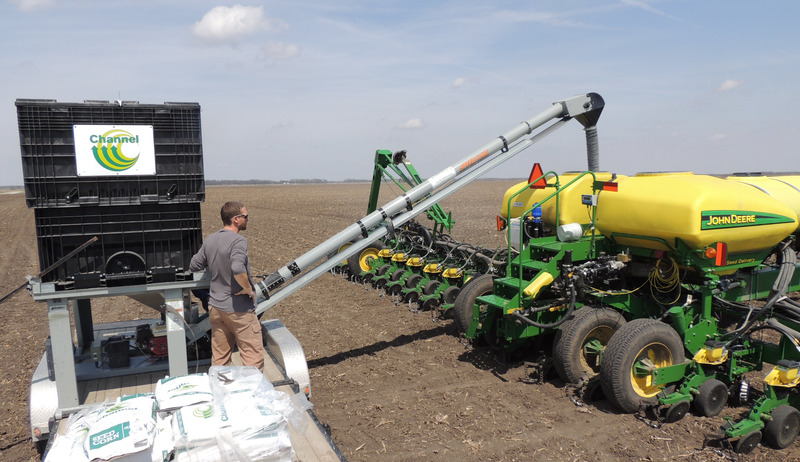 "Row crop farmers from the Midwest have mixed feelings about investing in agtech products, according to a new report from Farmers Business Network," as reported in AgFunder News. "Agriculture technology solutions have to be user-friendly and a worthwhile investment for farmers to take the plunge, farmers told FBN in a recent survey. The Voice of the Farmer Report captures the perspective of farmers and the issues that concern them the most. It uses both candid anecdotes from farmers and an analysis of actual farm data collected from millions of acres across the US to present its findings." The number one thing farmers are concerned with is cost control, followed by industry consolidation, farm succession and health care. "The influx of new technologies also drives consolidation and competition. 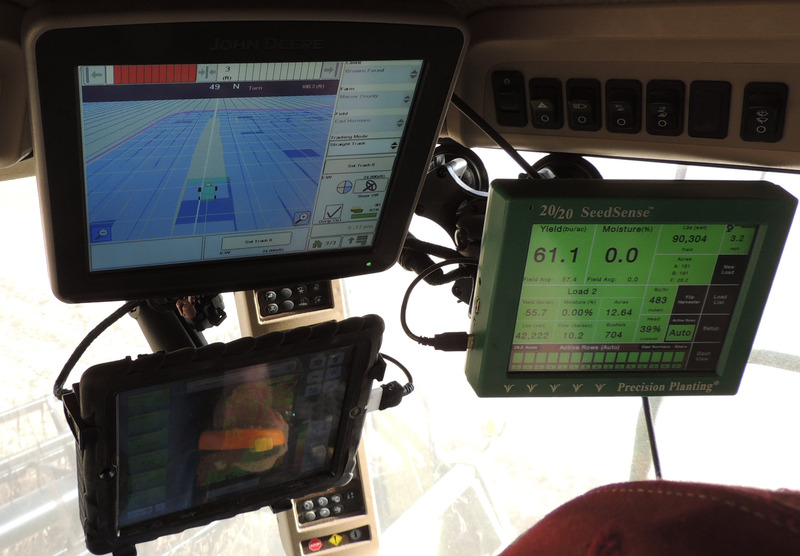 As one farmer from Illinois commented, as more farmers adopt the same technologies, they once again find themselves on the same playing field hunting for the next new innovation to give them an edge." Read the entire article in AgFunder News. FBS User Quoted in The Wall Street Journal. Arkansas farmer and U.S. Grains Council member, Tommy Young, was quoted in The Wall Street Journal April 21, 2017 story, "U.S. Farmer, Who Once Fed the World, Are Overtaken by New Powers." The article analyzed the effect of global competition (especially Brazil) on American agriculture. Tommy commented on the strategy of switching to older seed genetics to save costs. His response is, "That's not going to be a good thing for us for competition with other countries." May 22: E.CLIPSE Management Accounting. Q&A of the Month: Where's My A/P Vendor? Q. I'm trying to pay an Accounts Payable entry. The invoice shows up on the A/P Detail Report but doesn't show up under the Pay A/P screen. A. 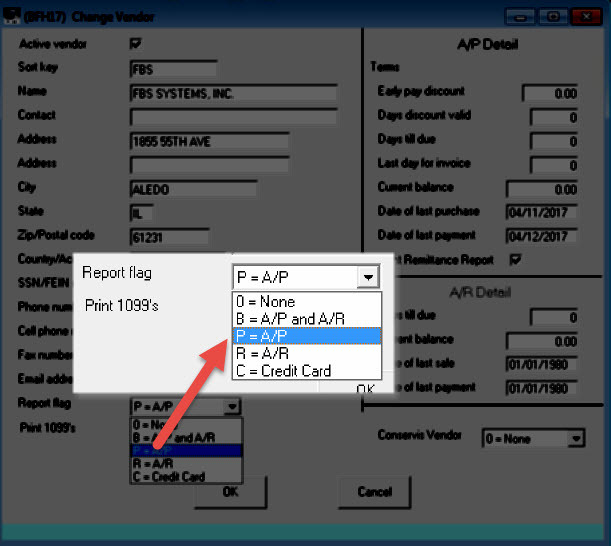 It sounds like you forgot to flag the vendor as an A/P vendor, but this is easy to correct. Go to Setup>Acccounting>Vendors and find your vendor and click Change. Find the Report Flag drop-list in the bottom left corner of the screen. Select either P for A/P or B for both A/P and A/R, then press OK and Save. Now find any A/P entry involving this vendor. Check the Use vendor list box and re-select your vendor, then press Save. Call 800.437.7638 for more information.